Very cute! 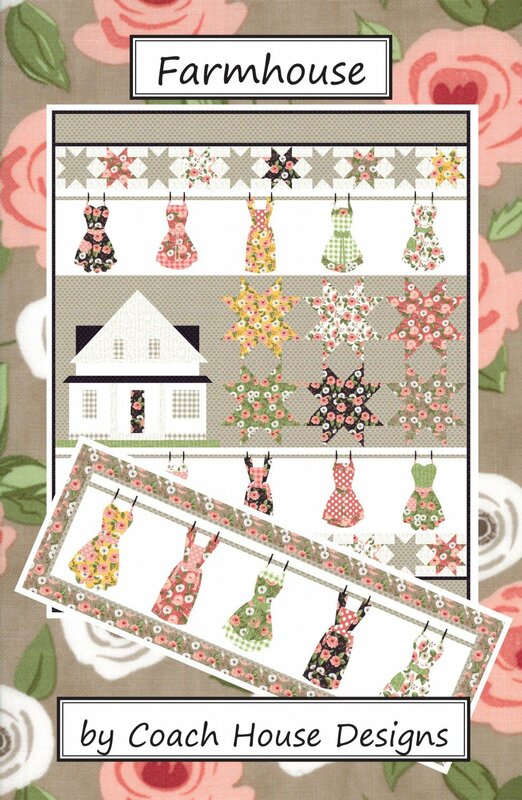 Choose to make the delightful Farmhouse Quilt, or just the table runner featuring the adorable vintage aprons. Quilt measures 60x69", and table runner measures 54x16". No paper piecing!